The Red Queen Hypothesis in evolutionary biology describes an arms race between predators and prey that leaves each party running as fast as they can just to stay in place. Sometimes I feel a little bit like I am caught in this race with my cameras and the various creatures that maul, munch, or invade them. Granted, the animals aren’t evolving or learning new tricks to overcome each new defense, but it seems that as soon as I conquer one source of damage, something new appears. I thought you might be interested to see the “evolution” of my camera trap weaponry over the last few years. Perhaps I should have known better. But the naked cameras that I set up during my 2009 pilot season alongside Panthera’s indefatigable Philipp Henschel didn’t get destroyed en masse. So I was completely unprepared for the destruction that followed. 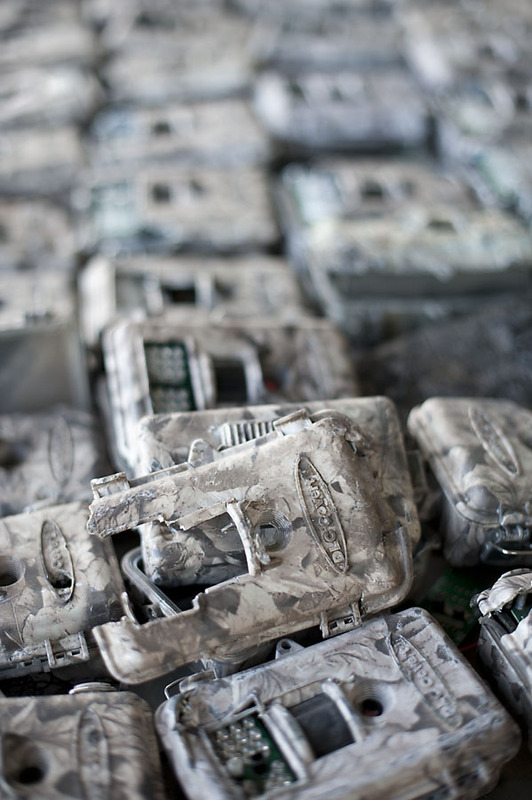 90 cameras lost in 6 months to hyenas, ele(phant)s, and fire. 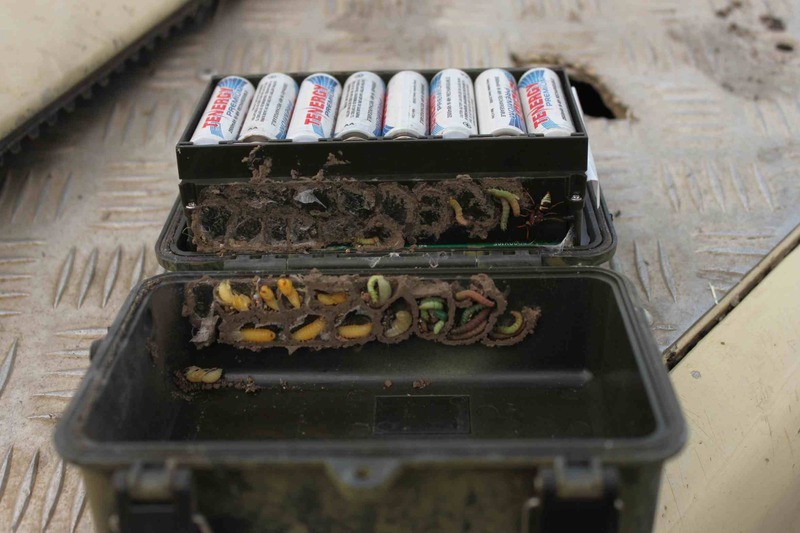 I returned to Serengeti armed with 200 pounds of steel cases. This made my luggage rather unpleasant. steel cases. camo color means you can’t see them, right? Unfortunately, the straps we used to attach the cameras to trees were crap, and still broke with a quick tug from hyena or elle. Power tools! Rich Howell at Trail Cam Pro sent me out a super fancy Bosch impact driver and hundreds of steel lagbolts. I spent the next 3 months playing with power tools. Unfortunately, the 3” lagbolts still broke if tugged on solidly by an ele. Cameras were wrestled from their cases by baboons and really determined hyenas. They were stolen by poachers and Masaai who herded their cattle across the border from NCA. They got waterlogged in the heavy rains. Cases were not quite the panacea I had hoped for. I arrived in Serengeti with 5” lagbolts of the best grade steel I could find. And padlocks. And dessicant sacks to keep the cameras dry. 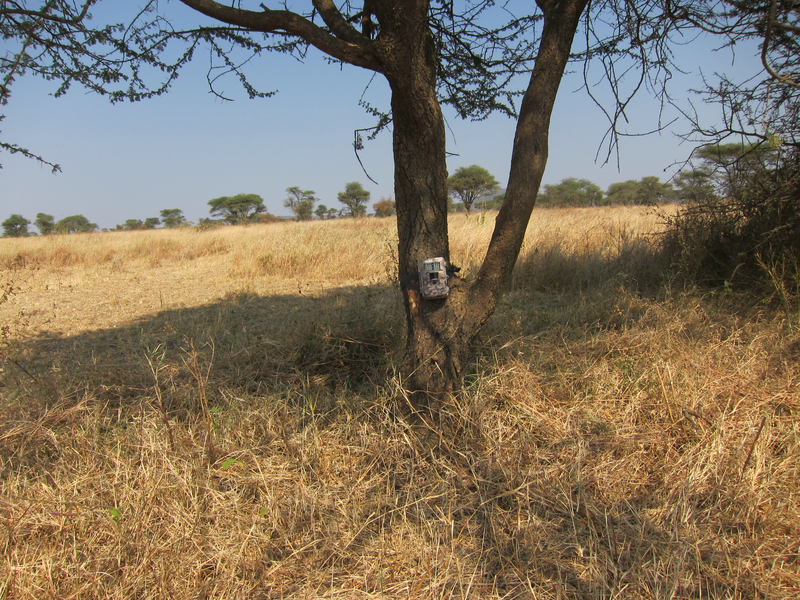 Now the cameras were staying on the trees, but getting punctured by teeth, invaded by ants, and waterlogged by the rains. “Water resistant” apparently doesn’t mean a whole lot in the world of ScoutGuard…nor does “manufacturer warranty.” And I still don’t understand how bugs get inside a “water resistant” camera that has no obvious damage. I armed myself with more padlocks, more lagbolts, and 6 tubes of silicone sealant. My luggage was filled with new cameras, grimly awaiting their doom. I can replace punctured flash covers with clear plastic. Sensor covers are another story, and apparently it is impossible to buy replacements. We’ll see how well the silicone works to fend off ants and raindrops. Next up? Spikes! I’m going to weld bits of steel to the camera case so that hyenas can’t get their maws around them. Take that, you big, ugly puppies! I bet you never thought you would become an engineer! Do you think that handling the cameras leaves human scents on them that attract the animals? Could you mix cayenne pepper and water to spray on the cameras as a deterrent? This should not harm them and hopefully will prevent them from chewing on the cameras. 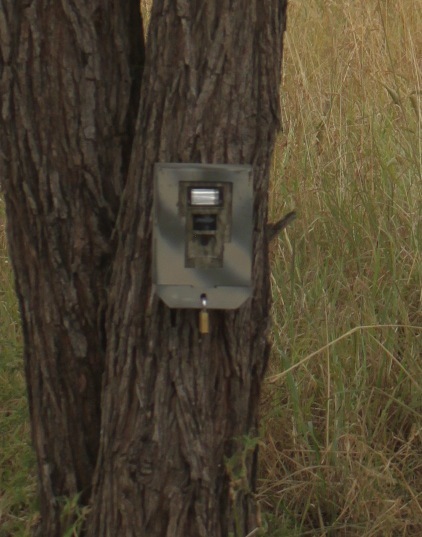 I’m not sure if the smell will deter animals from coming around to trigger the camera trap though. Wow, so that is what is happening when I get these shots of animals ramming up against the frame! Fascinating. Do you think the cameras agitate some of them? Maybe it’s the flashing or if there is a sound. 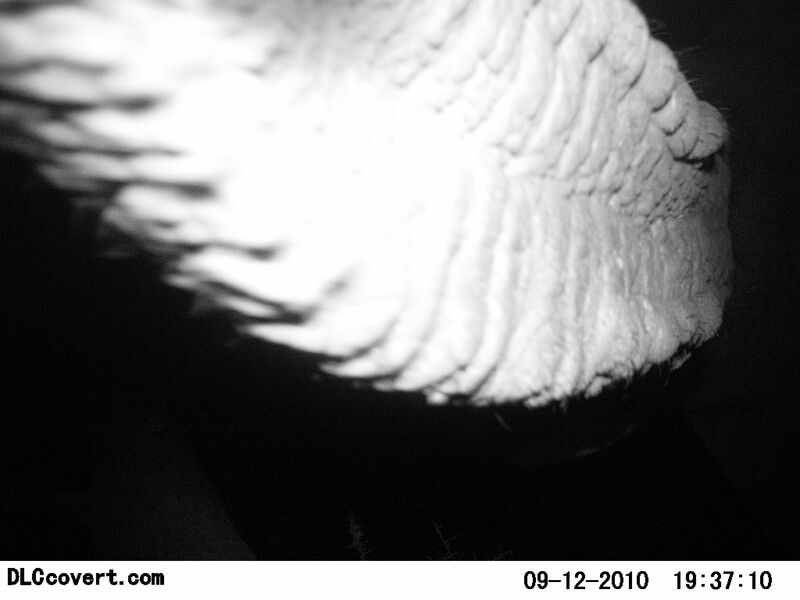 Have you ever observed an animal going at one of your cameras? Must be quite a force to do this much damage. What a story! Congratulations on getting so much data under such circumstances.